A happy accident in the gardens of Austraflora resulted in an outstanding cross-continent selection. 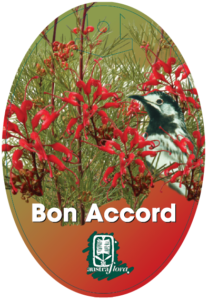 From eastern Australia comes G. johnsonii, and from the west G. wilsonii ~ together they produced Grevillea Bon Accord (meaning ‘agreement’) and nothing could be more agreeable than this beauty. 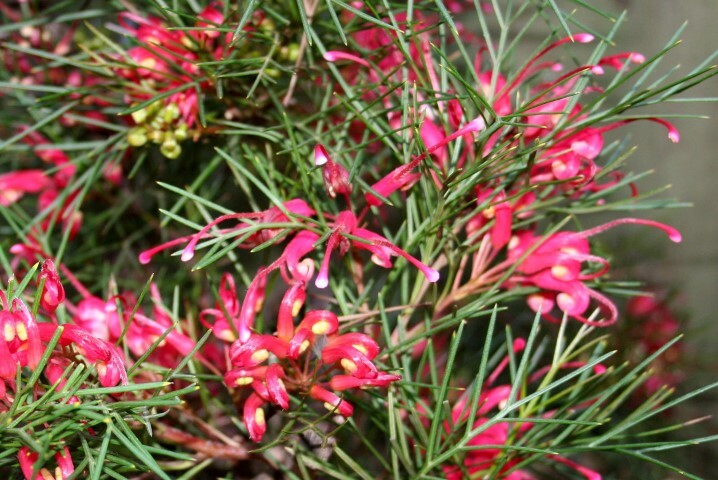 A spectacular focus in any landscape, with a size of up to four metres in height & width, it offers the best of both parents: clusters of glossy pink red flowers are well displayed from spring to summer, covering the intricate foliage and enticing honeyeaters from dawn till dusk. Plenty of sunshine and good drainage, and a light prune after flowering will keep Grevillea Bon Accord in a happy frame of mind.